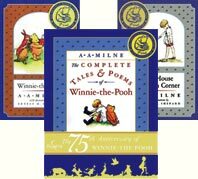 Two-Volume Gift Set - Includes Winnie-the-Pooh and The House at Pooh Corner. The House At Pooh Corner in one volume. 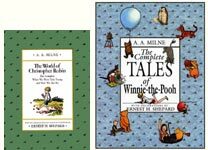 0-525-44448-3 The World of Christopher Robin Contains the complete When We Were Very Young and Now We Are Six in one volume. 0-525-46539-1 Where Is Pooh's Honey?